On one sunny afternoon in 1986 Vincent Price, dressed as a mailman, delivers a VHS tape to a kid named Matthew. The tape, Escapes, is a horror anthology hosted by Vincent Price. He starts watching it, and so do we. I’m not sure which level of inception we’re at at this point. It’s really just five short horror stories wrapped by Vincent Price and given a strange intro and outro to make it make sense. 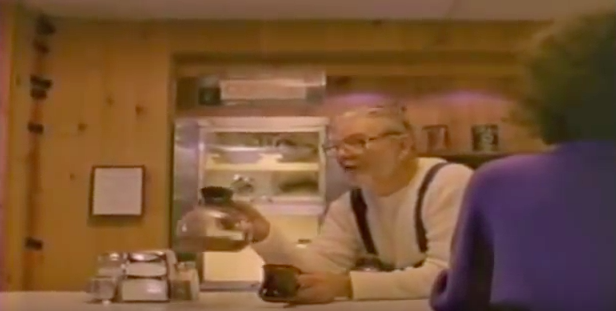 There are five stories here: Something’s Fishy, Coffee Break, Who’s There, Jonah’s Dream, and Think Twice. None of them are particularly scary in the execution, and some are downright stupid, but they’re all good snapshots of ’80s cable video production. Coffee Break is probably my favorite of the batch; it feels like an early Stephen King short story minus the actual scary ending he probably would have written. What strikes me about the ending (spoilers) is that characters from each of the stories come together in a “shocking” final scene, proving that this isn’t just some acquisition effort at getting a bunch of unrelated stories and running them side-by-side. As an MST3k fan this video conjures up memories of Merlin’s Shop of Mystical Wonders, which is actually slightly more involved in stitching the standalone stories together than this piece is but actually has a bunch of acquired, unrelated pieces in it – from different decades even. Still, same idea. It’s worth a watch, there’s something warm and familiar about it all. 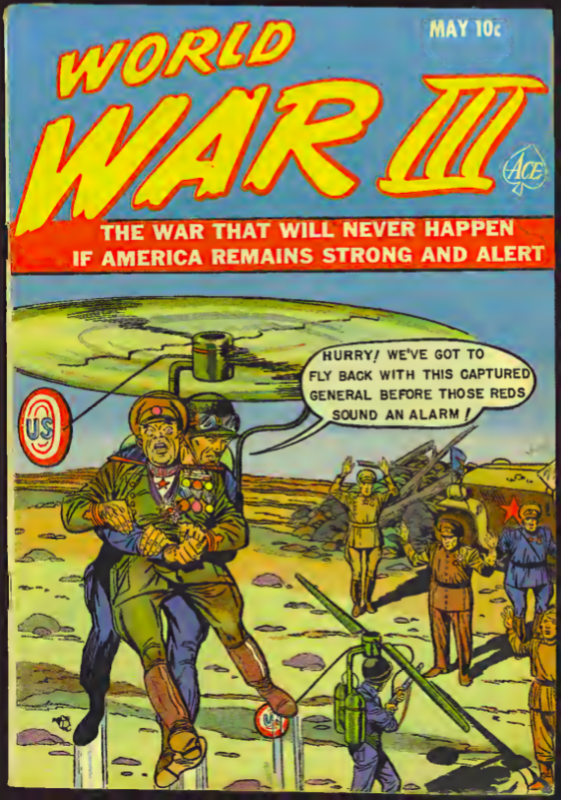 The thrilling followup to last week’s 1950s scare comic about World War III. This installment features battles in the air, on land, and under the sea… and doesn’t really resolve much. It actually makes the story much more confusing as to what the makers of the comic’s real agenda was. I’ve also never seen it spelled “Commy” before reading this comic. This 1992 training video about maintaining Nintendo console in-store play units goes further than it needs to in the effort to entertain. Probably as far as it can. It’s hard to believe that this is this guy’s real voice – it sounds like the voice someone would use to make fun of this guy’s real voice. That’s a compliment, though, I think! 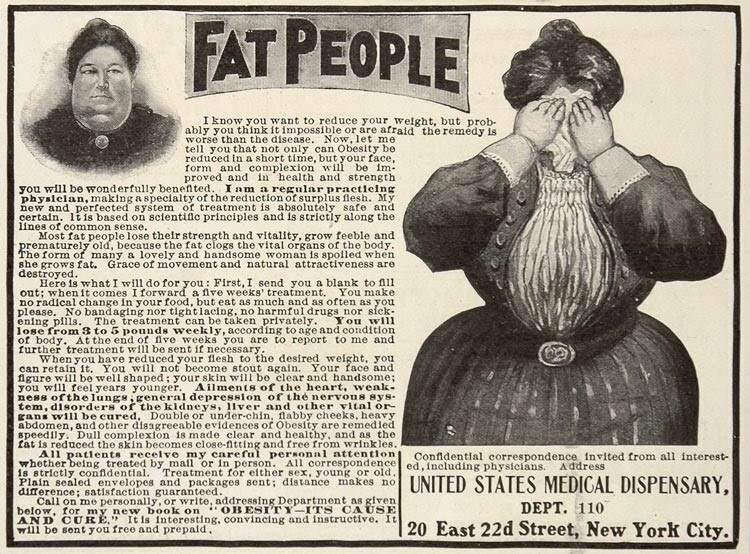 There’s very little to appreciate about this fat-shaming newspaper ad from the 19th century, but the aesthetic appeal of the images and the wall of text do catch my eye. Current obsession: This 1970s Japanese Bluegrass band.